Soooo. I’m working out in my garden yesterday. I was cleaning out a 10 foot, elevated bin that I “invented,” which is also 3.5 feet off the ground to fend off the pesky gophers, squirrels and rabbits. 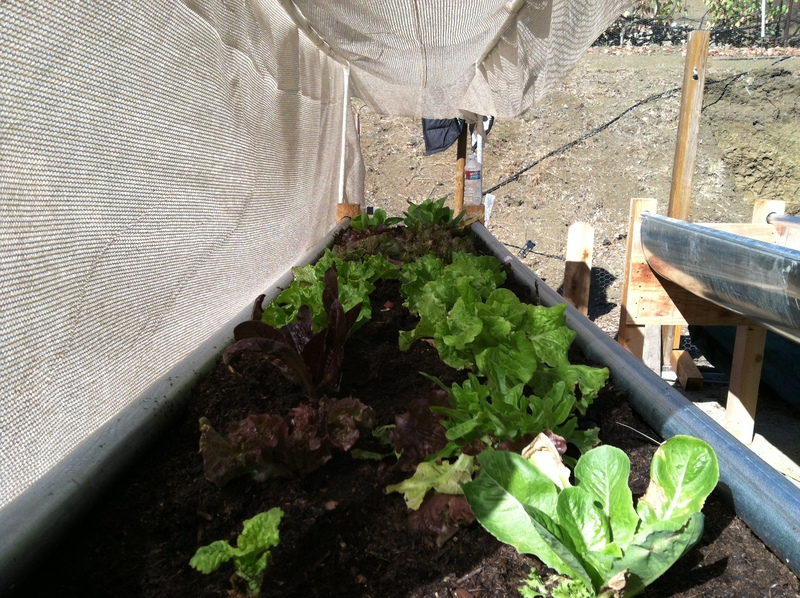 (See pic below) I was getting ready to plant some lettuce from seed. I was minding my own business and just enjoying the moment alone in my garden. A thought popped into my head about a brother who not only deeply offended me but also said some nasty stuff about my children. Well, I began to agree. How dare he! I thought! The guys an idiot and I’m glad I don’t associate with him anymore. By engaging in this seemingly innocent thought stream I have just opened myself for an attack from the enemy. I have, in fact given him legal right because of unforgiveness in my heart. I have opened the door to all sorts of junk from the Fallen One. About an hour later the attack began and I went into warfare mode. There is a book I access daily, How to Rout Demons & Break Curses by John Eckhardt—highly recommend a copy for everyone! There are some good “arrows” for my quiver in that tome. I also have some goodies on my I-Phone, and some favorite scriptures committed to memory, so I’m ready to go. However, the Holy Spirit brought to my attention what I had entertained in the garden. How I had let the thought of unforgiveness go unchecked. In fact I had planted the seed of bitterness! I repented and the Lord’s peace came upon me and the attack from the one who seeks to rob, kill and destroy us stopped, as he no longer had legal right to access me. This is the key for all of us, forgiving others the junk that they’ve done to us. It doesn’t matter what the wrong is, forgiveness is the key. Forgiving those who have hurt us sets us free from the self-created prison we have constructed due to our unforgiveness. By no means does this excuse the wrong, but it does keep us in good standing with the Father, as is evidenced from the scripture above. When Jesus hung on the cross He looked down at the Roman soldiers who had scourged him within an inch of His life, who had spit on Him, who had shouted insults and taunted Him, who had mocked him with a crown of thorns and who had driven the cold, iron spikes through His wrists that pinned Him to a horrific instrument of torture, the cross, and forgave them for they know not what they do…. 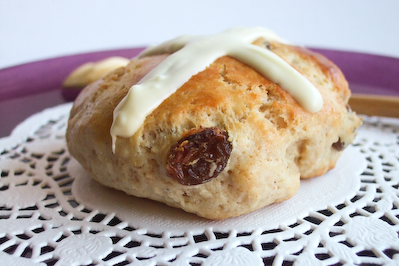 In closing todays Bun. Forgiving others allows the Father to forgive us. It’s very straight ahead what we are to do and yet, most of us have harbored bitterness at some point in our lives. We should learn to drop this like a hot potato. Bitterness and unforgiveness is not worth holding on to and in the end will poison us internally and may even lead to sickness. Forgiveness is the key that sets us free! Do not allow a root of bitterness to spring up. Dig it out with the spade of forgiveness. May the Lord’s peace be upon all of us today…. The picture to the left gives us a very clear picture of the face of evil. We are told that Satan was a murderer from the beginning. Here are his modern henchmen, carrying out his plan to rob, kill and destroy. There is evil in the world and unless men and women stand up to it and fight against it, until it is eliminated, the slaughter of innocents will continue. ISIL has its sights on setting up an Islamic Caliphate in the Middle East. While pundits here in the states and elsewhere are calling the group, Islamic State, its original name was Islamic State of Syria, Iraq and the Levant, or ISIL. Here’s their map of what they want to accomplish. This is their end game. Their plan to establish an Islamic Caliphate with Sharia law in place is ambitious, but unless they are soundly defeated militarily they are well on their way to accomplishing their goal. Please note from the map, the entire Middle East is under their control. Of course this means the destruction of Israel, which, in my opinion, will never happen…. 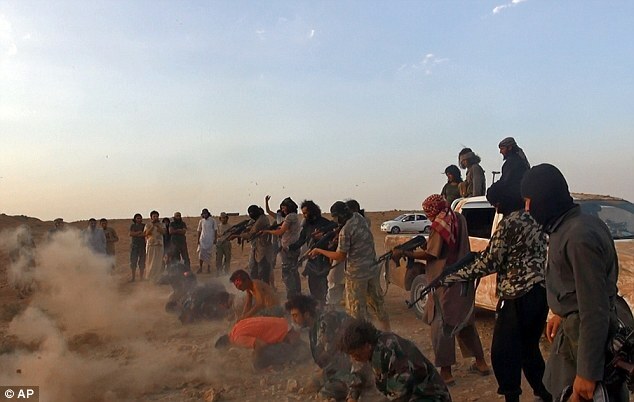 ISIL is growing bold because so far they have won most of the battles they have fought. The Iraqi army folded and ran from them. The Peshmurga fighting force of the Kurds, so far has been able to repel ISIL’s advances. 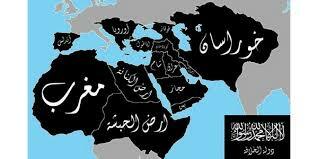 However, as seen from the picture above, the atrocities continue as ISIL spreads it terror across the Middle East. Obama has stated that he doesn’t have a strategy for fighting ISIL yet. Really? Mr. President, you have the best minds at your disposal and you’ve had weeks of meetings about this group of terrorists and yet you have no plan? Perhaps more time away from the golf course might be a good place to start to formulate one. In closing todays short post. There is evil in this world and unless it is confronted it will only spread its darkness. ISIL offers nothing but destruction. It has no real plan for the people it conquers except forced conversion, or death. May I suggest to our president that the plan should be to cut the head of the snake and wipe ISIL from the earth. Of course there are stories floating around the NET stating that our CIA helped create ISIL in the first place, as a force to oust Bashir Al Assad in Syria. Like the Taliban in Afghanistan this force has gone rogue. Israel is aware of the threat and so is Jordan. (See my post about the King of Jordan, last week.) Hezbollah, entrenched in Lebanon, has fired rockets into Israel and while HAMAS so far is keeping the cease-fire with Israel, the war is most likely taking a short breather before it resumes. One scenario that we may be looking at, and which would fulfill the Psalm 83 prophecy that Bill Salus brought to light, would be for Israel to not only engage HAMAS and Hezbollah but go after ISIL too. I’m sure Netanyahu has a plan and most likely has several back up plans on how to deal with ISIL, because Bibi knows only to well that there is evil in the world. Watchers TV sat down with an exclusive interview with Dan Gordon. 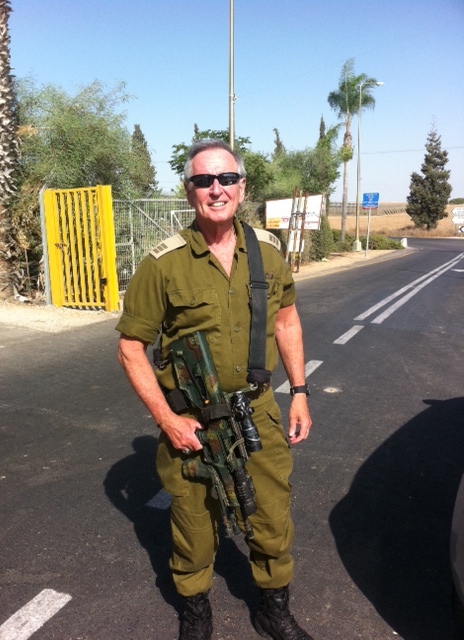 Dan is a Captain in the IDF reserves and holds both US and Israeli citizenship. You will want to watch this and perhaps forward the link to your friends. Dan makes it very clear what the average Israeli citizen lives with on a daily basis. He has just returned from Israeli and his insight is both erudite and sobering. Dan points out that HAMAS has broken every truce by firing rockets into Israel. He also explains what happens when rockets are fired and how much time the average Israeli has to get into or find shelter. You won’t find this on the CNN or the 6-o-clock news. Watchers 3, Watchers 5, Politics, Prophecy & the Supernatural PLUS a years subscription for our E-News Magazine! A $73 offer your for only $40! September 13: L. A. Marzulli last East Coast Appearance! Living Word Alive – Dumont New Jersey! The UFO Breeding Program- Are the Nephilim Here Today? The Nephilim Mounds Conference that took place in Newark, Ohio last year was such a popular event, Russ Dizdar and L.A. Marzulli decided to do it again—with a familiar expert guest—Gary Stearman! These 3 experts on the biblical Nephilim expose the real agenda of the fallen cherub, Lucifer, and take this bizarre subject to a whole new level of understanding. Stearman’s unique perspective on the biblical background of the various types of giants that once roamed the Promised Land lays the groundwork for a complete understanding of Satan’s plans for the last days. 8 unique messages stand alone in their advanced biblical understanding! March 12-15: Lion Heart Ministries in Knoxville Tennessee. April 3-5: Memphis Tennessee. Details soon. Acceleration Radio – Ask L. A. Anything! PLEASE NOTE THIS WILL AIR AT 9PM EASTERN TIME! Tonights Topics: Do your Homework and check out the links below! 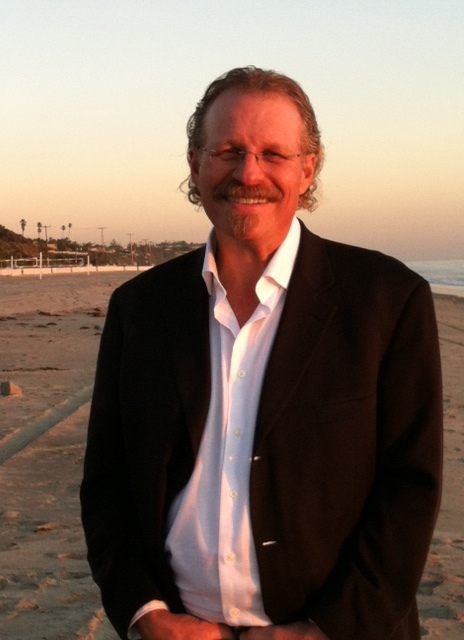 L. A. Marzulli Appears On Jim Paris Show! I have been accused, more than once, of interpreting news articles as signs that we are in the end times. This is called eisegesis in theological terms. While exegesis is the process of drawing out the meaning from a text in accordance with the context and discoverable meaning of its author,eisegesis occurs when a reader imposes his or her interpretation into and onto the text. I will leave it up to you to decide where we are in terms of end times prophecies, based on the stories I posted today. This may be the shortest post in the history of this blog! L.A.
res ipsa loquitur – the thing speaks for itself! The natural man or woman looks at these stories I’ve linked to above, shrugs his or her shoulders and goes about life pretty much the same way. Have you ever wondered how many Christians are looking for the signs of His coming? I believe there is only a small remnant that are expecting His return. Think about it, the signs are here and yet much of the church is asleep and won’t even address the issues. When was the last time any of this was discussed in your church? When Jesus came the first time how many received Him? How many Jews were looking for the Messiah? How many of the people when told about Jesus healing and that he might be the Messiah stated: Can anything good come out of Nazareth? Not much has changed in the last 2000 years. 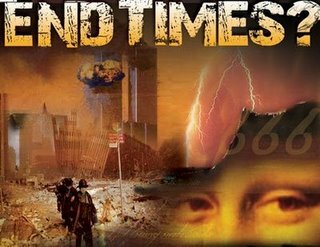 The prophecies that were set in place thousands of years ago are lining up right in front of us, yet many folks won’t even take a second look. Check out the last part of Luke 21. Could Jesus be warning us about the burgeoning UFO phenomena? There are sightings every day, crop circles appear in wheat fields, implants with no entry wound in a person’s skin, are removed—See Watchers 8—people are floated through window’s when they are abducted. Others who are taken aboard the ships tell us of hybrid beings they encounter. In closing todays redux: I would state unequivocally that we are in the last days. We should understand that it’s not business as usual and that the prophecies written long ago are coming to pass. When the Psalm 83 war finally breaks out what will those who are asleep say? When the Isaiah 17 prophecy—the destruction of Damascus—happens what will the skeptic counter with? When mile-wide UFOs appear in the sky, what will your pastor have to say about it? According to Cris Putnam and Tom Horn the Vatican is ready to embrace an alien savior! Meanwhile earthquakes shake the planet and super volcano’s threaten to darken the skies, our dollar may collapse, terrorists want to kill us, endless war continues in Afghanistan, North Korea kills thousands of its own citizens, Russia and the Ukraine are ready to go at it, The Syrian civil war continues, our southern border remains open, Ebola, ISIL, and Boko Haram. Business as usual? Really? Please pray for Joe Taylor—Mount Blanco museum Curator. He came down with Spinal Meningitis and we almost lost him! Please pray for Joe Taylor—Mount Blanco Muesum Curator. He came down with Spinal Meningitis and we almost lost him!